Thermoclines are distinct layers of water in an ocean or lake that form a transition between the mixed, warmer water nearer the surface and the much colder deep water. Seasonal weather variations, latitude and longitude, and local environmental conditions affect thermocline depth and thickness. Vertical stratification definition in bodies of water creates zones, including the thermocline, based on differences of temperature, salinity and density. Fishermen use thermoclines to catch fish; divers, to stay warm; submariners, to escape detection; and climate scientists, to forecast global weather patterns, such as El Nino, which occurs when the eastern Pacific's thermocline rises closer to the ocean's surface. Calculating thermoclines from water temperature and density-depth data is normally done with electronic instruments, but finding the thermocline can also be done manually. The manual method uses a special deep water thermometer called a bathythermograph. Invented in 1938, bathythermographs or bathothermographs (spelling from WWII) attached to the exterior of submarines monitored water temperatures. Water temperatures and corresponding water densities impacted the accuracy of sonar units in the submarines. Understanding patterns of temperature and density helped submariners use their sonar more effectively. In addition, knowing the water temperatures helped submarines to calculate depth of and use the thermocline to hide from enemy depth charges. Mark a spool of filament fishing line at one-meter intervals with a permanent marker and make a loop in the line at each mark. This line will be used to make depth measurements. Attach a bathythermograph to one end of the line. Attach the line's other end to a fishing reel's drum. Set up two columns on a sheet of paper--one headed “depth” and one headed “temperature.” Use this data table to record depth and temperature measurements. Lower the bathythermograph into the water to the first meter mark. As the instrument descends, growing pressure forces more water into the tube. The volume of water trapped in the tube serves as a depth measurement. Hold at the given depth for 30 seconds to ensure a reliable temperature reading and pull it up to the surface. Read the depth on the calibrated side of the bathythermograph at the top of the water column and read the temperature off the temperature plate. Invert the instrument and press the valve to release the water. Shake until all water is out before using it again. Continue taking readings at successively lower depths until you note a sudden drop in temperature. Mark this on the data table as the top of the thermocline. Be aware that the thermocline depth changes by season and with weather conditions. Continue taking measurements in the same way to measure the thermocline's thickness. While in the thermocline, the temperature will continue to drop with depth, but slowly. When the temperature stops getting colder while depth continues to increase, the probe will have penetrated the thermocline and entered the cold water layer underneath. Crank a battery-powered, hand-held water temp meter's display unit to lower the waterproofed electronic sensing probe attached to the other end of the insulated 200-foot cable into the water. 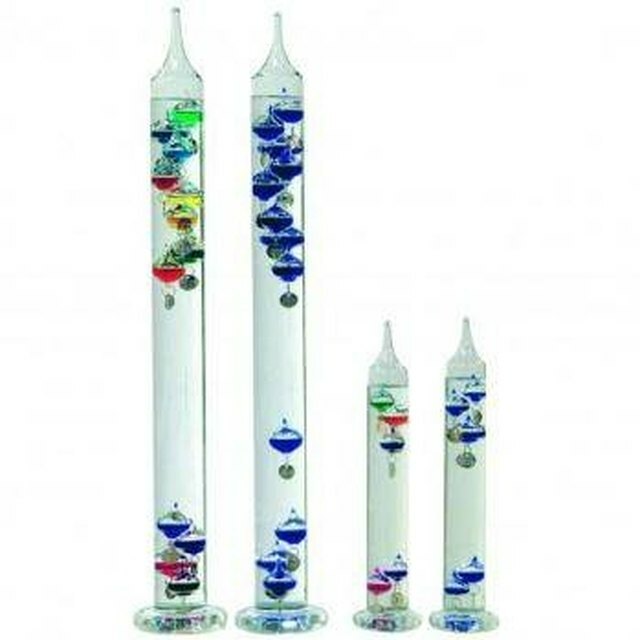 A deep water thermometer or fishing depth thermomoter will also work. Create a data sheet with one column for depth and a second column for temperature. Hold the probe at a meter's depth and read the depth and temperature from the hand-held display unit. Record them on the data sheet. Continue taking samplings at successive depths, noting when the temperature drop-off marks the top of the thermocline. Continue lowering the probe until the coldest temperature stops decreasing with depth. Record this depth as marking the bottom of the thermocline. For fishermen, higher-end fish finders offer by far the easiest way to calculate depth to the thermocline. It's simply a matter of knowing how to read the instrument's display, which will differentiate the thermocline layer from the upper and lower layers using color. 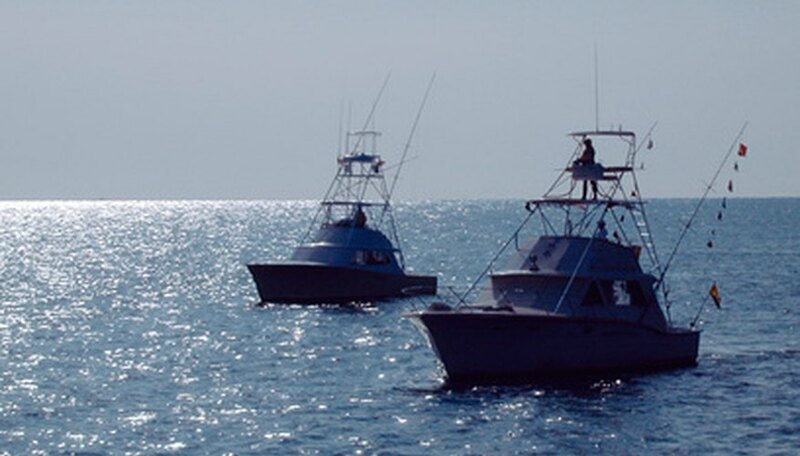 Fishing resorts and state fisheries often do the work of locating thermoclines and publish their depths and temperature breaks for sports fishermen. To fully exploit the thermocline for catching fish, a fisherman needs to know where different species of game fish like to congregate in relation to the thermocline. Some like to feed or rest right in it, others just below or above it. Lower your lure to the appropriate depth in relation to the thermocline. Henry Randolph began writing as a corporate technical writer in 1997. He has written everything from policy manuals and corporate reports to internal newsletters and intranet content. Randolph's specialties include financial, military, fitness and technical topics. Since retiring in 2007, he has co-edited the "Wayzgoose Gazette," a nonprofit printing museum's newsletter. Randolph holds a master's degree in foreign service from Georgetown University. Randolph, Henry. "How to Calculate the Thermocline." Sciencing, https://sciencing.com/how-6464492-calculate-thermocline.html. 25 October 2018.